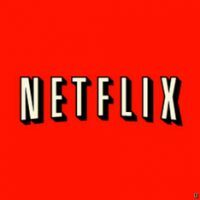 Jul 15, 2011 Posted by admin on Jul 15, 2011 in Business, Featured, Internet | Comments Off on Netflix Increases Prices 76% in past year!! Netflix Increases Prices 76% in past year!! It was back in January that my Netflix prices increased 18% from the increase a year earlier. An email earlier this week (July 12, 2011) from Netflix indicated that September 1, 2011 prices were increasing again, this time an additional 50%. The real news is that Netflix is basically doubling their prices from January 2011. Currently I pay a standard rate for 4 DVD out-at-a-time plus streaming, starting on September 1, 2011 Netflix will increase and standardize their prices to split them into the Mailer services and the Streaming service. No discounts if you combine the two they just add both services together. This to me feels like a great deal of arrogance on the part of Netflix and frankly I assume this is more a move to encourage people to cancel the Mailer service and replace it with the streaming service. A little bothered by this email I called the phone number provided in the email, only to get a recorded messsage, “We are experiencing high call volume, please try your call again later <CLICK>.” A little frustrated, I wrote and email. The auto-response returns “Your email has reached an automated mailbox. Email sent to this address does not reach our Customer Service team and will not receive a personal response.” So I venture onto the “Contact Us” portion of the website where I find a different 800 number and call it with my special “I’m a customer” number and over 10 minutes later on-hold, I get to a speak with a representative. After explaining that I had a been a customer for a while, it takes him a few minutes to determine I have been a customer for over 11 years (Netflix started offering their services in 1999, do the math!). I proceed to say that this increase is outrageous and that I was not feeling appreciated as a long time customer. I admitted that if Netflix could not show me some appreciatation I was not going to cancel one or the other plans that I was intent on cancelling my entire account the rep only replied, “Well that’s your choice.” He later tells me he can cancel my account in only a few seconds. Outraged not, I ask to speak to a manager a few moments later I have a new person on the phone who basically tells me there is nobody else to appeal to, this is the policy, they don’t care if I want to cancel. It would seem that Netflix thinks they have it all figured out and that they have proven to me they have zero loyalty to existing or long standing customers. Their customer service is pretty horrible and this latest move is pretty arrogant. I am sure some product manager thought all of this was really great; and for their corporate goals that might be the case. What they failed to understand is that I I have Cable, a Tivo, and subscribe to Amazon & Hulu and that acrosss the libraries there is much overlap. I have enough devices that have integration with multiple services that at some point price and quality of service will be the differentiation, NOT size of content library (as is the case right now). Sadly, because of the poor customer service, arrogance, and a 76% price increase in less than a year, I will cancel this service later this year and stop supporting a company I once admired for their technical excellence and innovation.